St Georges Day is usually celebrated in Lanzarote with a party. Everyone is welcome to join in with this very English celebration. Spend a day at Aquapark Fuerteventura enjoying the fabulous slides and rapids in Correlejo. The exursion includes ferry tickets and park entry tickets. 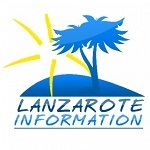 Jobs in Lanzarote – Lanzarote Retreats are looking for a new team member to join their office based staff in Costa Teguise. Excursion from Lanzarote to spend time in Fuerteventura, including a visit to the incredible sand dunes there, which have blown in from The Sahara. Sonidos Liquidos is an annual event in Lanzarote celebrating music, light, wine and the island’s gastronomy with a fabulous concert in La Geria. We learned to cook Chicken Jalferzi on one of Cook In Lanzarote’s popular express cooking courses. We had great fun and cooked a cracking dish. Perfectly situated in the centre of the island, close to Tias and Puerto del Carmen, with its beautiful beaches, restaurants and shopping areas, you will find El Olivo.